Whenever I do a FOTD/WOMF post I get lots of complements about my skin (thank you kindly) and questions about my skincare. 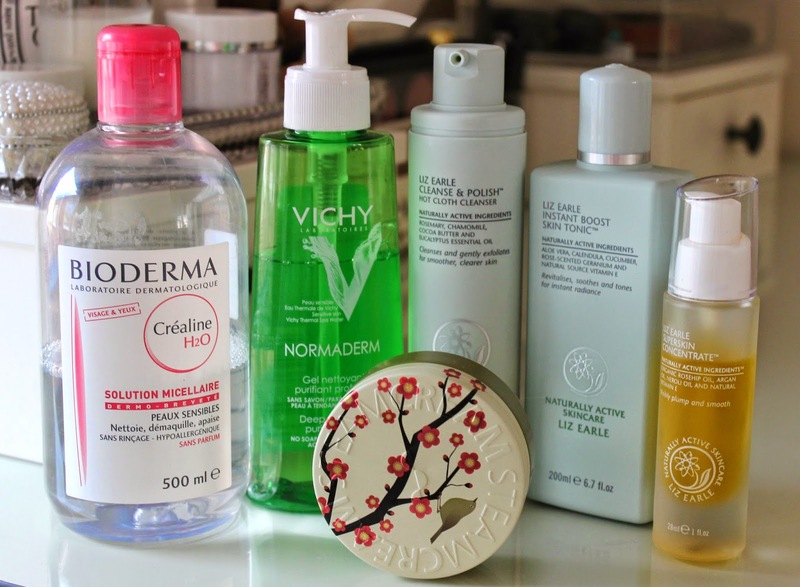 I've been promising an insight into my skincare regime and finally it's here... and guess what, it’s not ALL Liz Earle. I love my make up (obvs) but I love my skin more and there's nothing I enjoy more than taking it all off. Don't get me wrong, it's not that I cake it on (anymore) but blocked pores is never a good look. My top tip is let your skin breathe as much as possible. Wash your face as soon as you get home from work/school/college - why wait until bedtime when you can wash away the grime off at 5. That's at least an extra 5 hours breathing time. Cue the World’s best cleanser – Liz Earle Cleans & Polish £14.75. You know the deal – over 100 awards, one sold every 23 seconds, a beauty icon of the highest order etc. It’s rich, yet gentle and delivers instantly visible results. Packed full of goodies including eucalyptus, rosemary, chamomile and cocoa butter, it has a heady aromatic scent and every time I use it I feel pampered. I apply one pump to dry skin, working it in with a little massage before taking the muslin cloth (dampened with hot water) and placing it over my face. The warmth and steam open the pores, whilst the cleanser and cloth remove grime, makeup and dead skin cells to reveal smooth, clean, radiant skin. Finish with a splash of cold water. My skin has never been better – clear, radiant and much more balanced. I used to hate toners but the Liz Earle Instant Boost Skin Tonic £13.25 is in a different class. A heavenly floral-scented, non-drying toner that refreshes, soothes, brightens and leaves a fine veil of moisture on the skin. I use this straight after Cleanse & Polish to freshen the skin and close the pores. STEAMCREAM £12.95, still my holy grail mosituriser. 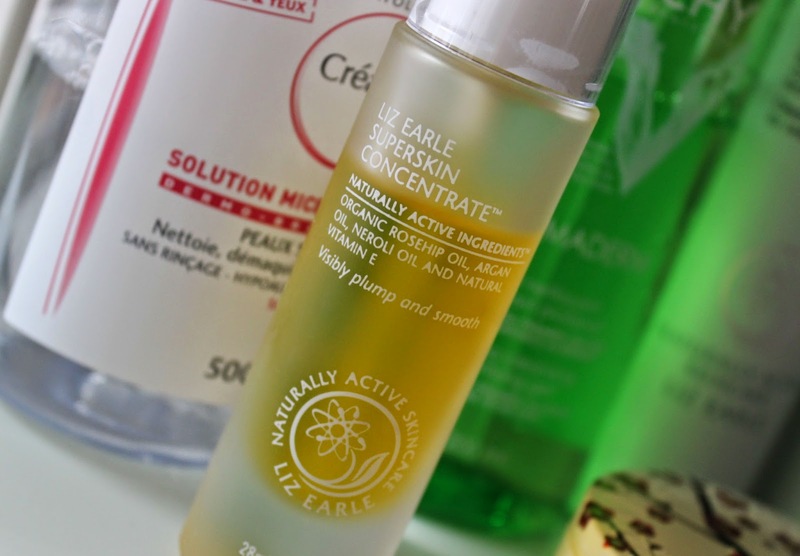 I’ve tried the Liz Earle ones, and I do like them, but this one just suits me better. It's light to touch. It sinks into the skin like a lotion but behaves like an intensive moisturiser. It's not greasy, but it is rich and leaves my skin soft and hydrated. The next morning my skin always looks extra plumped and glowing. Full review here. Watch out for the morning edit coming soon! That superskin concentrate looks absolutely heavenly! *adds to wish list* I need to dive in to the Liz Earle skincare world.